This fall, a record 25,126 students applied to the University of Virginia’s Class of 2023 via the early application process – about 17 percent more than last year. Early Friday evening, they learned whether they had been admitted. From that pool, 6,550 received the news they were hoping for – an offer rate of 26 percent. Last year, UVA had an early action offer rate of 27.7 percent. 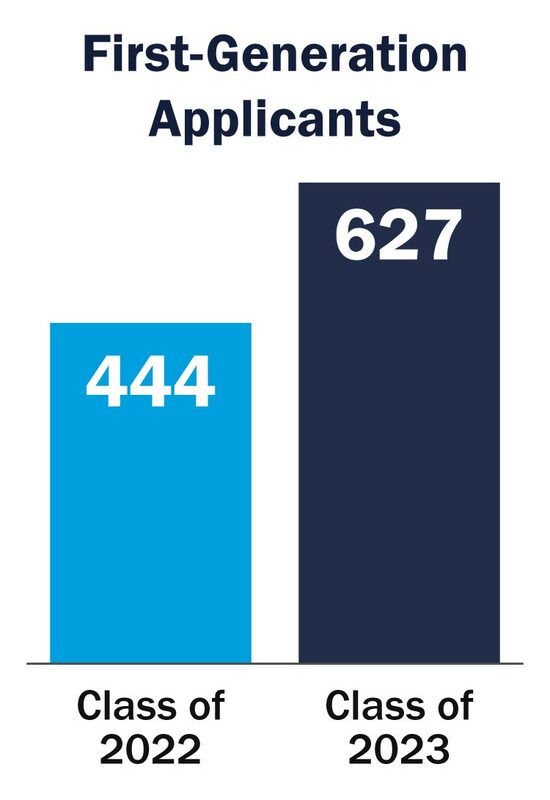 Overall, a record 40,804 students have applied for admission through either the early action or regular admissions processes, a nearly 10 percent increase from last year. Early action applicants increased by nearly 17 percent from last year. UVA offered admission to 41 percent more applicants who would be the first in their family to attend college than a year ago (444 to 627), and admitted nearly 4 percent more minority students via early action. In addition, the mean SAT scores of accepted early action students rose from 1,447 to 1,449. The offer rate for out-of-state students dropped 2.1 percent, from 21.4 percent to 19.3 percent. Moments after the electronic admissions notifications went live online, newly admitted students – who hail from 50 states and 155 countries – were flooding UVA’s social media channels with their admissions stories using the hashtag #UVA23. “We’re honored that this accomplished group of students is interested in UVA and believe the class of 2023 has the potential to be our most impressive yet,” Roberts said. Many of those not admitted Friday will have a second chance; their applications were deferred to the regular admissions cycle. Regular application decisions will be released April 1. All students offered admission have until May 1 to accept their offers. The enrollment target for this year’s class is 3,750 students.